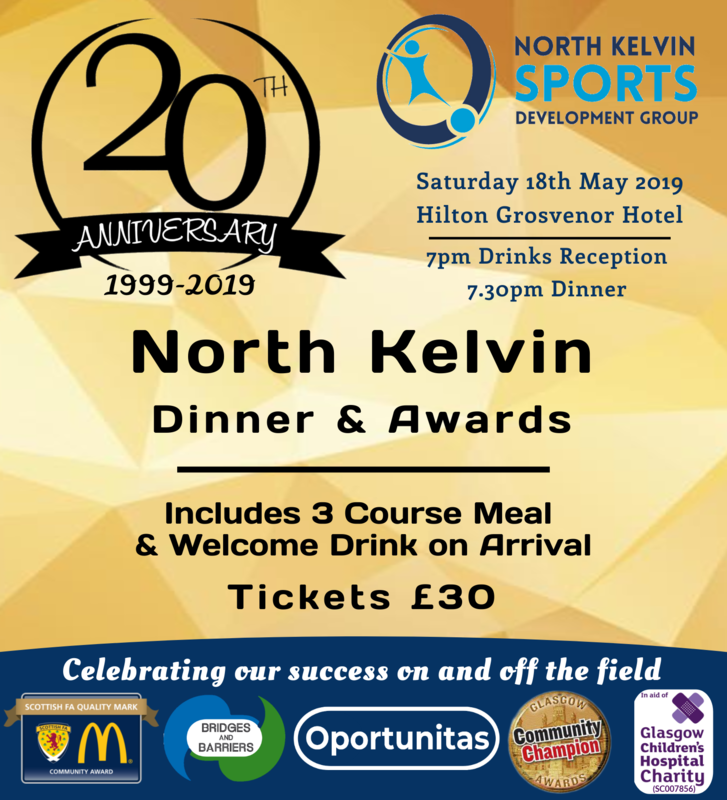 As you know, North Kelvin Sports Development Group will celebrate it's 20th Anniversary this year. We are kicking the celebration off by hosting a Dinner & Awards Evening at the Glasgow Grosvenor Hotel on Saturday 18th May 2019. Over the last 20 years, the club has grown from one Saturday morning amateur team to now have 12 teams at all ages. We also deliver anti-sectarianism, disability and after schools community projects amongst lots of other good work in the area. The evening will consist of a 3 course meal with welcome drink on arrival, Awards for the 2001s, 2002s and the Adult First Team, followed by music and dancing. 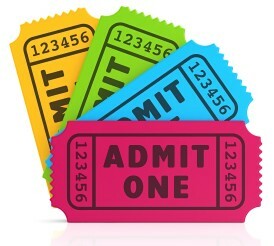 Tickets for the event are £30 per head or £270 for a table of 10. Any proceeds raised on the evening will be spilt between our own charity and the Glasgow Children's Hospital Charity.